Are you ready to ride the Totem Lightning all the way to the bank? We are, how about you? 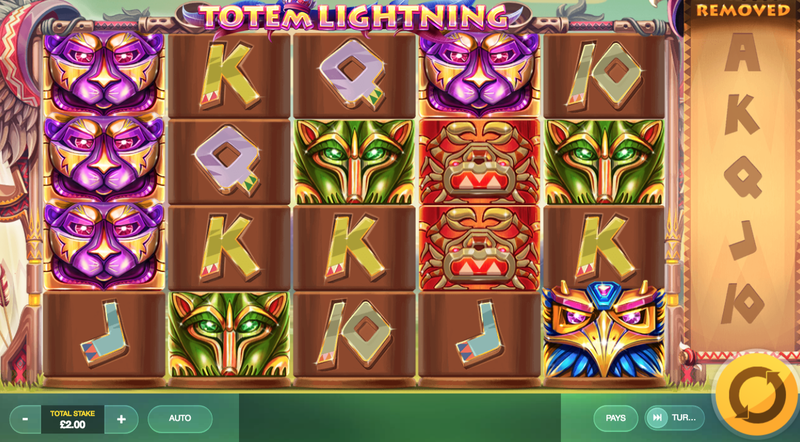 An American Indian themed online slot, Totem Lightning is a 5 reel by 40 pay-line sort of slot, one that comes to you courtesy of developer Red Tiger Gaming. Cowboys and Indians have been waging wars with one another across countless different mediums, well now they’ve made the transition into the online slots world. In this highly entertaining slot, you’ll find plenty of reasons to keep spinning. 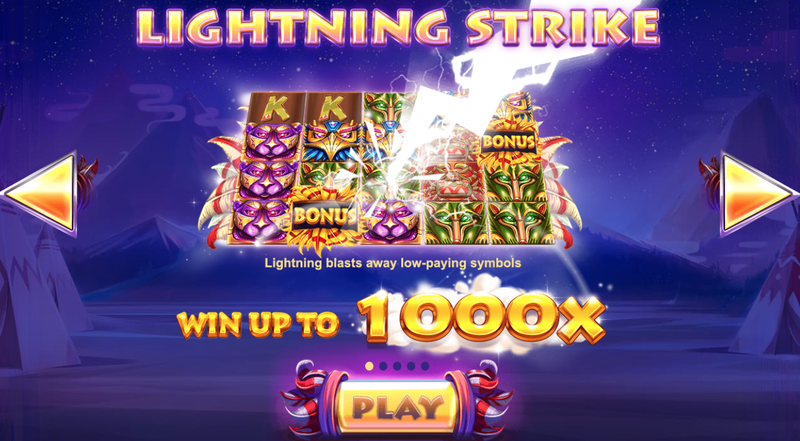 Don’t worry that this slot takes itself too seriously, it strikes a good balance between fun and rewarding! There are a few fun features included in here too, definitely one that could easily be in a few top 5 lists if you let it. Be sure to check out the rest of the review for some added info on this slot! Bonus: If you are looking at increasing your scores tenfold, then you’ll find that matching the bonus symbols does simply that. You are given the chance to win up to 1,000x your initial stake here, which is very useful indeed. 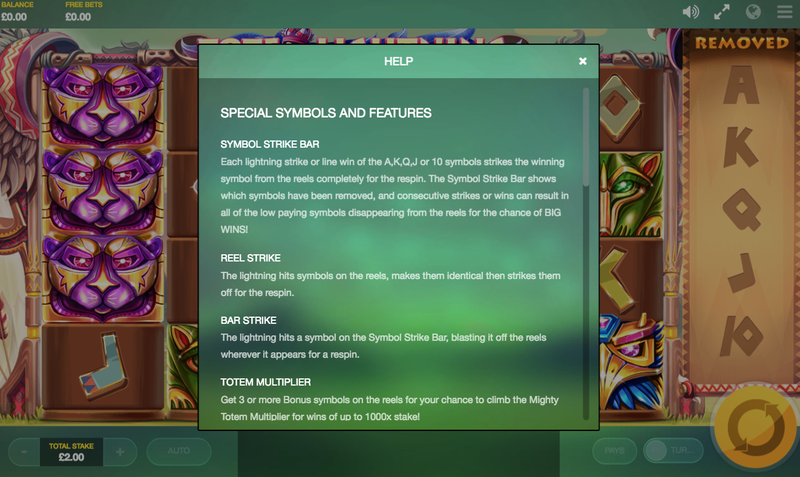 Wilds: Wild symbols were always going to be included in this one given the name and theme of the slot in question. Wild symbols will substitute for all other symbols bar the scatter. Scatters come with their own rules but as far as wilds go, you will not find a more versatile symbol. Play here for electrifying fun!